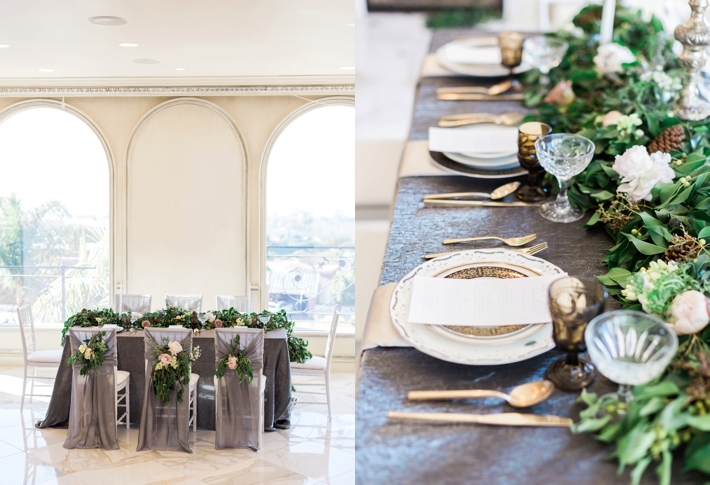 I had the idea of putting together a styled shoot in a beautiful indoor setting with a high-end feel. 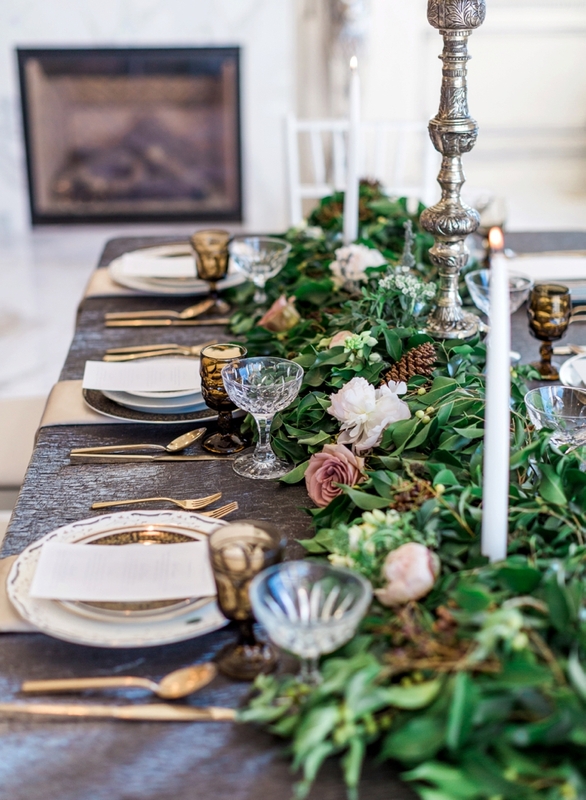 I reached out to Bride’s Bestie Events and shared my thoughts on this shoot and we began brainstorming on what we would like. 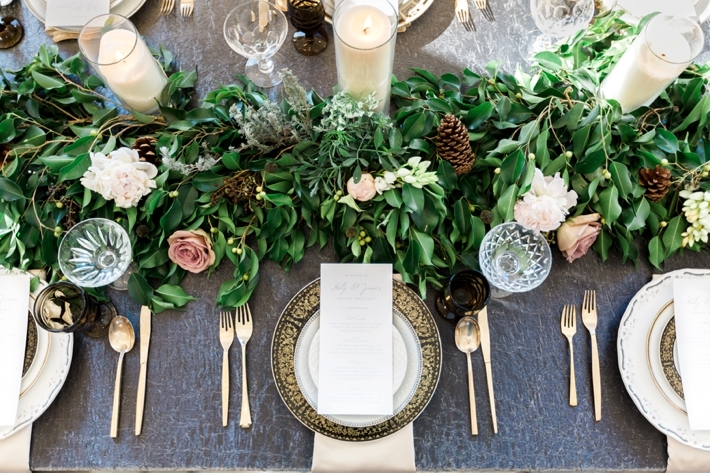 We decided that we wanted to create something elegant, earthy and romantic with a stylish flare. 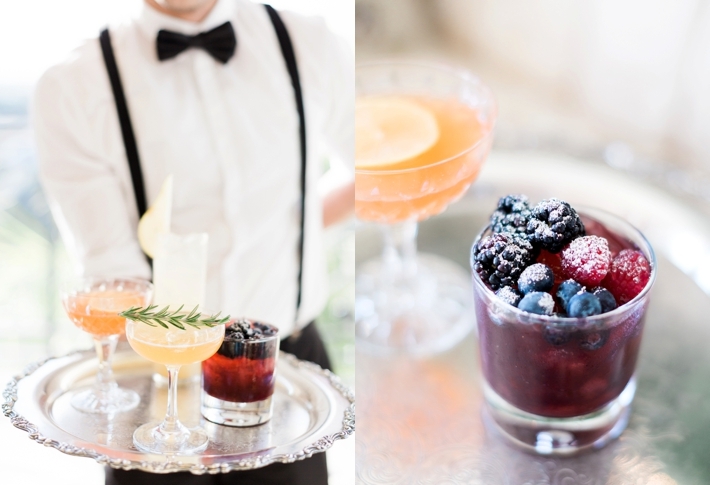 We first had to decide on a venue, and as it happened I knew of a beautiful private estate in Newport Beach. I reached out to the owner and she agreed that we could use it for the shoot. 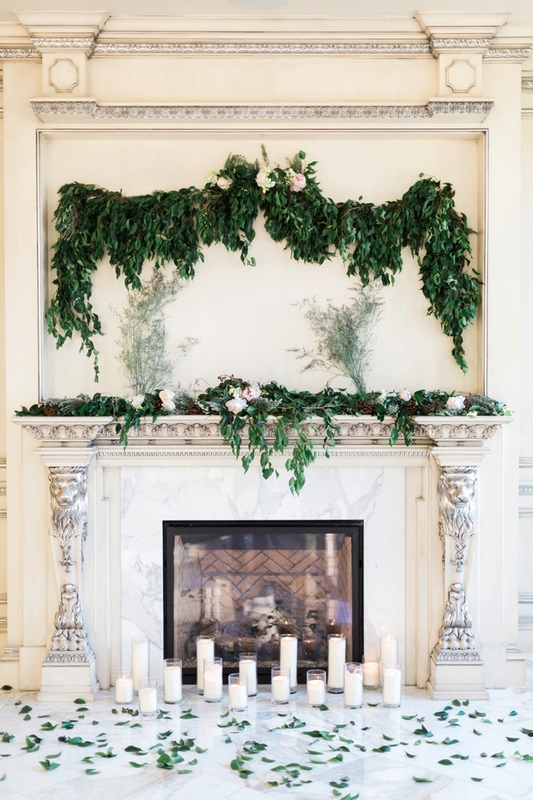 The Estate has stunning white marble floors, huge windows that let in amazing light and a gorgeous fireplace and mantel that was perfect for the ceremony space. 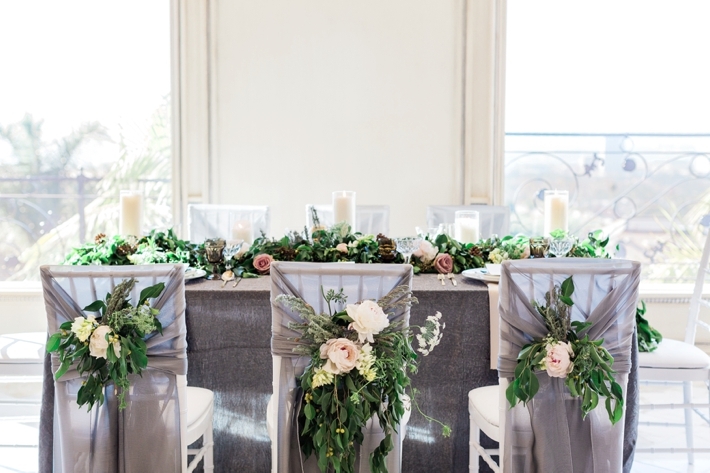 Pia Florals provided a beautiful garland that really helped set the mood for our shoot. 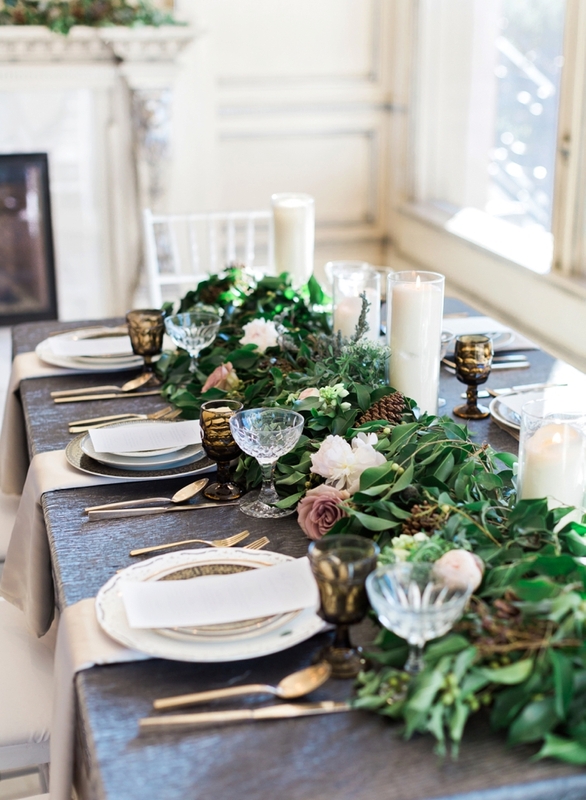 The garland was accented with berries, lavender roses, and pine cones to give us an earthy feel and mood. 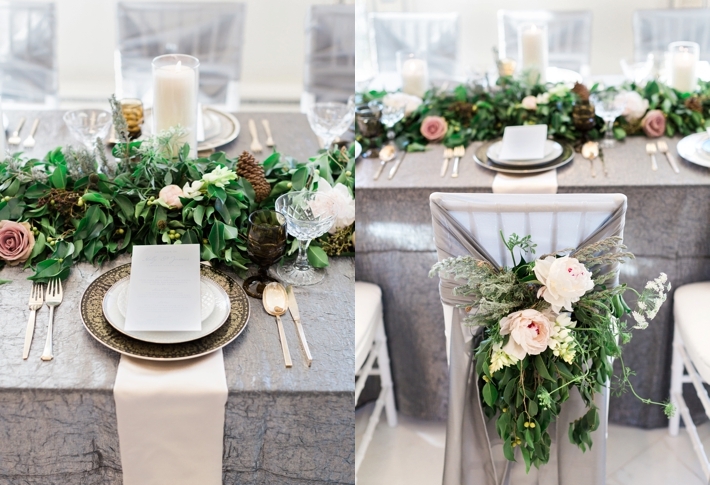 It was a versatile piece that we were able to incorporate into every set of our shoot - from the table setting, to the lounge area, and of course, to the ceremony space. 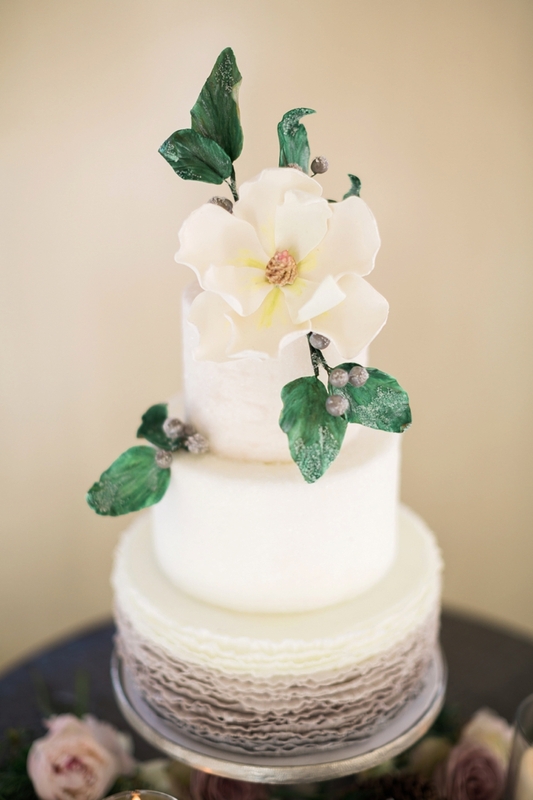 Bride’s Bestie completed the look with a gorgeous bouquet for our bride. 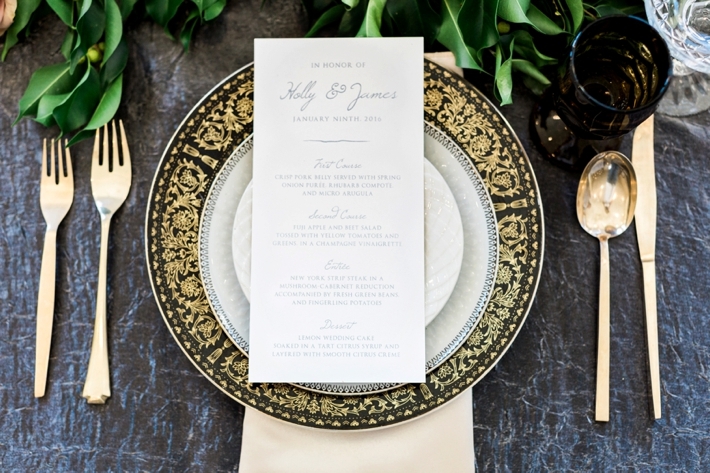 Along with the florals, the tablescape was set with china, glassware and flatware from Dish Wish in black and gold tones to give us an elegant setting. 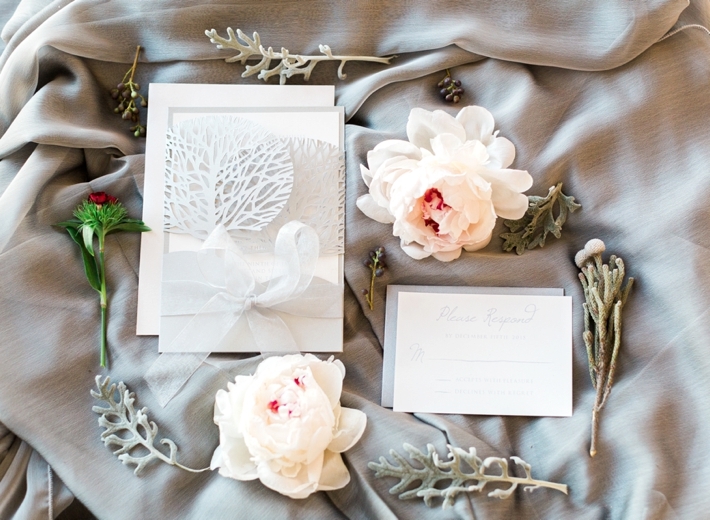 The intricate details on the pieces brought in the sophistication that we were striving for with this shoot. 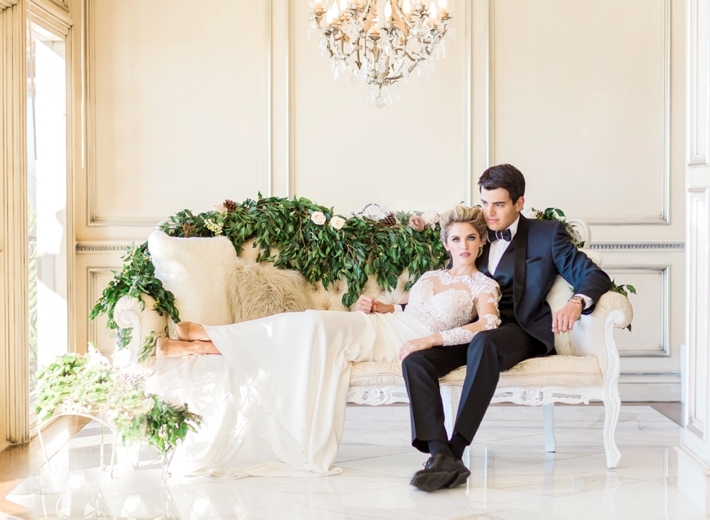 Bella Vita Vintage Rentals provided the elegant couch for our couple to enjoy their custom-made drink by Mr. Bartender. We wanted to show couples that they can enjoy a few moments away from their guests in a stylish little corner all to themselves. I contacted a couple of modeling agencies that I regularly test models for and they sent me the perfect talent. Our female model’s hair was a bit short for the updo we wanted (the gown had an open back that just had to be shown!) so we contacted Ladore Hair and they provided the most gorgeous extensions that blended in naturally into our model’s hair. 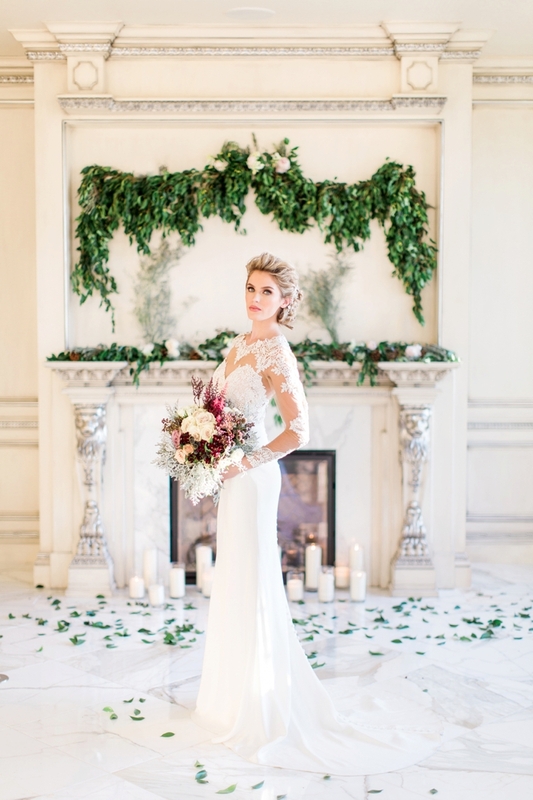 Our bride’s gown was provided by Blush Bridal Couture, a Martina Liana sweetheart gown with an illusion tulle bodice. 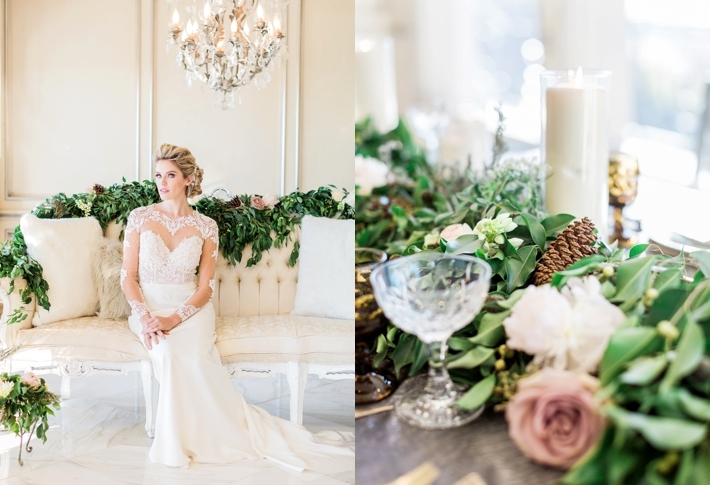 All accessories to complete our bride’s look was provided by Styled by TC. 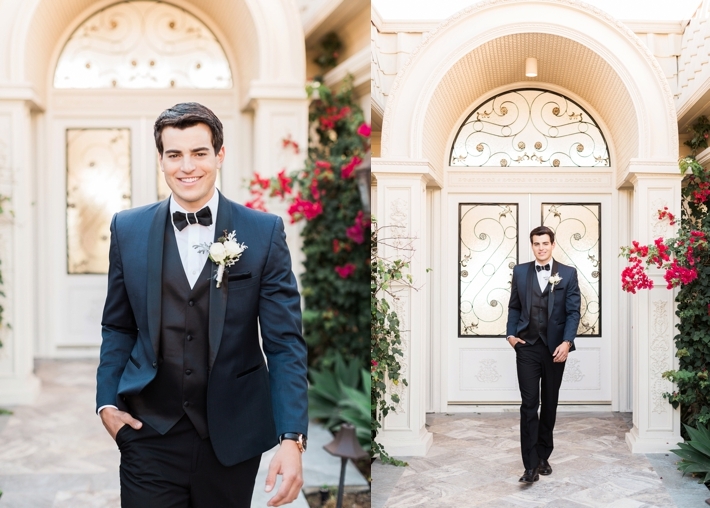 The groom’s Navy Lorenzo tux was provided and styled by Friar Tux. 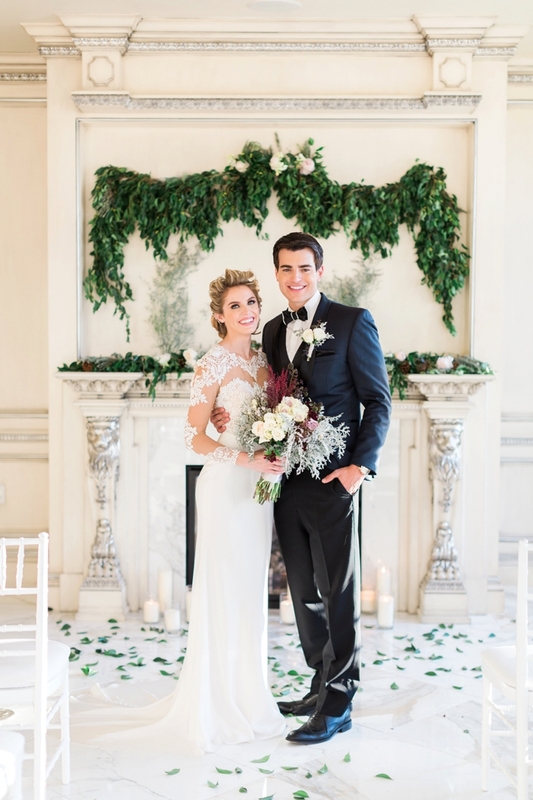 To give our couple their picture perfect look, Alicia Wheeler was on makeup and Brenda Barron perfected their hairstyles.